Hardwood Floor Installation in Northborough | Central Mass Hardwood Inc.
Northborough, located in Worcester County, is home to nearly 15,000 residents. Originally a part of Marlborough, it became its own town in 1807. As a part of Central Massachusetts, it is a fairly easy commute into Boston, Worcester, and other major cities. If you’re a homeowner in Northborough looking to upgrade your space, Central Mass Hardwood can help! We provide hardwood floor services in Northborough, including installation to repairs. We’ll help you with the decision-making process, choosing a finish that will best suit your space and style. We’ll provide recommendations based on whether it is a high-traffic area if you have pets if the area will be exposed to water, etc. There are several factors that play into which hardwood floor is best for your room. We also provide custom wood flooring designs for those that want to get a little creative! Naturally, hardwood floors are going to show some wear and tear over the years. However, this does not necessarily mean you need new floors. Refinishing and staining is a great alternative to transform your older hardwood floors to make them look brand new again. When you choose Central Mass Hardwood, we first provide professional dust-free sanding to remove existing finishes, followed by applying 3-4 coats of oil or water-based polyurethane. To finish the process, lastly, we’ll buff your floors to make them shine like they did when they were new. 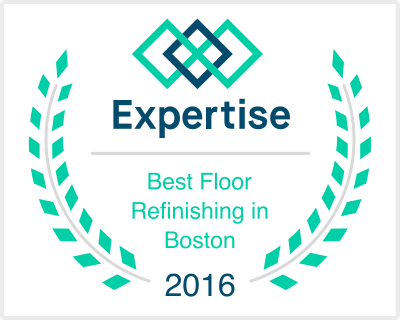 We guarantee you’ll be amazed at your “new” floors! If you’re in need of hardwood floor installation or refinishing in Northborough, contact the professionals at Central Mass Hardwood! Request a free estimate today or give us a call at (508) 460-0199!